John Mulaney is ready to Hulk out. The title of John Mulaney's current stand-up tour is "Kid Gorgeous," which conjures up expectations of an easygoing golden boy. 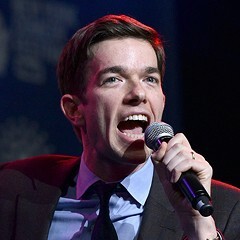 But onstage at the Chicago Theatre last Friday, Mulaney practically ran from one side of the stage to the other, shouting at the audience. He's pissed, he explained, because his college alma mater (unnamed at the show, but it's Georgetown University) had the gall to solicit a donation for the alumni fund. "I already gave them $120,000 dollars," he snarled, throwing up his hands in frustration. "$120,000 dollars! I was an English major, and I gave them $120,000 dollars for a degree in a language I already know how to speak." This is a departure from Mulaney's relatively even-keeled delivery. 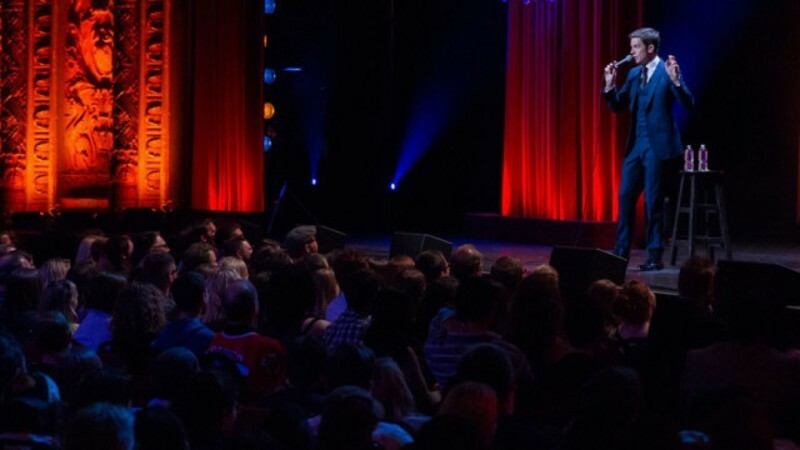 Sure, Mulaney had emoted on previous stand-up specials, but always in a controlled, deliberate manner. Last week's Mulaney flew off the handle. He stomped his feet and contorted his body in frustration. The material had a harder bite: the aforementioned tuition complaint, the uselessness of his elementary school's assemblies, his parents' questionable taste in clothing. Parts of his act were delivered from the shadows on the sides of the stage because he had marched too far while ranting. In advance of his Chicago shows, he spoke to me about people, places, and things from which he draws comedic inspiration: Richard M. Daley, Jimmy Stewart, classless Rock and Roll Hall of Fame inductees, even being yelled at. For each, he focused on the anger. He praised Daley not for his politics but for how red-faced the ex-mayor got when brownouts swept Chicago. ComEd felt his wrath. Mulaney's agitation and movement are drawn from the comic Earthquake. Earthquake walks calmly across the stage, but the microphone shakes in his hand, and he speaks as if delivering a church sermon, emphasizing points by raising his voice and wag his finger in the air. "Power and pacing. Like, literally pacing the stage," he told me. "I kinda wanted to do Spalding Gray plus Earthquake." But while Earthquake conveys his anger through his mannerisms and tone, Mulaney stomps his feet so there's no ambiguity as to how he feels. In our interview, he compared his new style to Jimmy Stewart: "I like a seemingly straitlaced guy that then screams very much."